Check out the next edition of the Common Core Workbooks. This one is the Second Grade Common Core Workbook. I have been lucky enough to get the First Grade and the Kindergarten books and they are great resources. This book is 575 pages of ELA and Math activities, posters and worksheets all designed to meet the common core. Check it out and download the preview pages. Second Grade Teachers, you are going to love the Second Grade Common Core Workbook with Second Grade Common Core Worksheets and Activities! 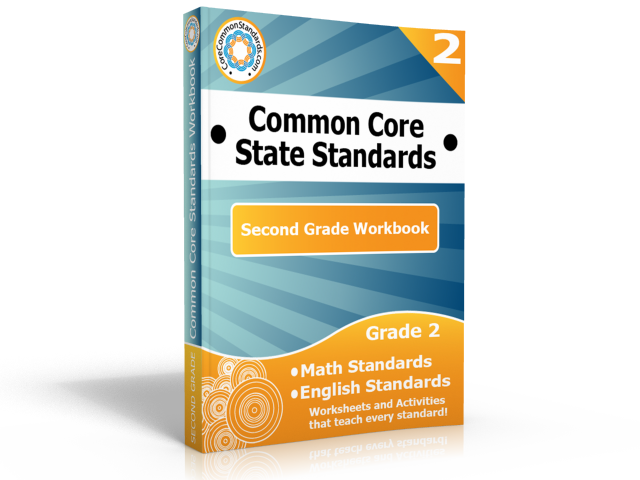 This workbook has everything you need for Second Grade Common Core!